It feels like it’s been a time of all things ‘Rush’ over the past while. As you all know by now, we spent most of the late fall and early winter 2011 recording Clockwork Angels at Revolution Studios in Toronto, Canada. I had selected that room for its cavernous but controlled drum room and I was pleased with the recorded results, as was Neil. The clockwork stage kit is one of the best kits I’ve ever had the pleasure of recording. Check out the entire entry via this LINK. Okay, let the flame wars begin: I don't care for Rich Chycki's work on Snakes and Arrows or Clockwork Angels. As much as I admire and appreciate Rush (going back to 1977 when I first heard them on the radio in Illinois---and they remain my favorite band from that day to this---I must respectfully say I think their hearing is shot. 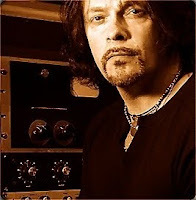 Whether it's Mr. Chycki's or Rush's preferences (please read this interesting article by sound engineer Bruce Brown [http://www.audiostream.com/content/qa-bruce-brown-puget-sound-studios]), the last two albums have taken on a battlefield approach in mixing. Completely unlike previous albums (and I can even, astoundingly, include Vapor Trails in this generalization) which have had particular instruments take up supporting and leading roles alternately as each track progresses, Snakes and Arrows and now Clockwork Angels seem determined to place each instrument at the forefront, competing with each other for space and volume. Speaking from experience, I know that when in a band---rock or classical---your instrument or section probably sounds the loudest because you're standing in front of your amps or sitting surrounded by similar instruments. But from a listener's perspective having every instrument front and center 100% of the time results in cacophony. Musical content aside, I think that the best mixed Rush album is Roll the Bones. I 'hear' what you're saying ... and while I think S&A was a little more tempered, CA (which I do really enjoy...) does come off as 'in your face' on many tracks. I like how he discussed the remixing of 'Vapor Trails'....no wait, he didn't. Still waiting (patiently - what the heck, it's been 10 years already) - I have this NEW sonic masterpiece to console me in the meantime!